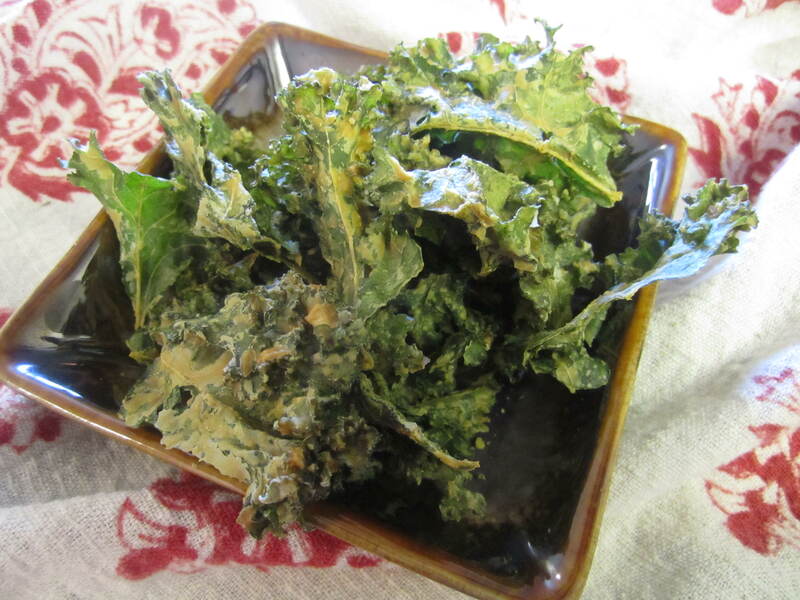 The first time I tried kale chips was from a place in Detroit, Michigan called the Zen Cen. They made raw, vegan, organic kale chips and I fell in love with them. I loved them so much that I would have the health food store hold 3-5 bags for me anytime they got an order in(they sold out quickly, and I would go through withdraws!) . Then I moved across the country to Salt Lake City, Utah. What would I DO!? Figure out how to make them, that’s what I would do! This was a good thing, kale chips are not cheap when you buy them at a store they usually cost around $6-8 per little bag, that if you’re like me will be gone by the time you get home from the store(yes I am that addicted to them!). *Use Coupon Code OZI624 for $5 off you first order at iherb.com! 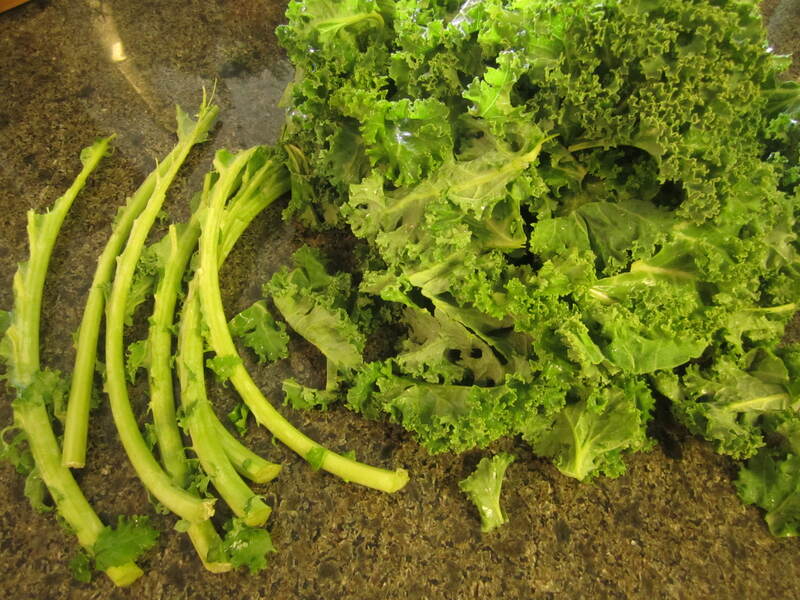 After you rise the kale, you will want to remove the stem. Just pull the leaves off of the thicker stem. 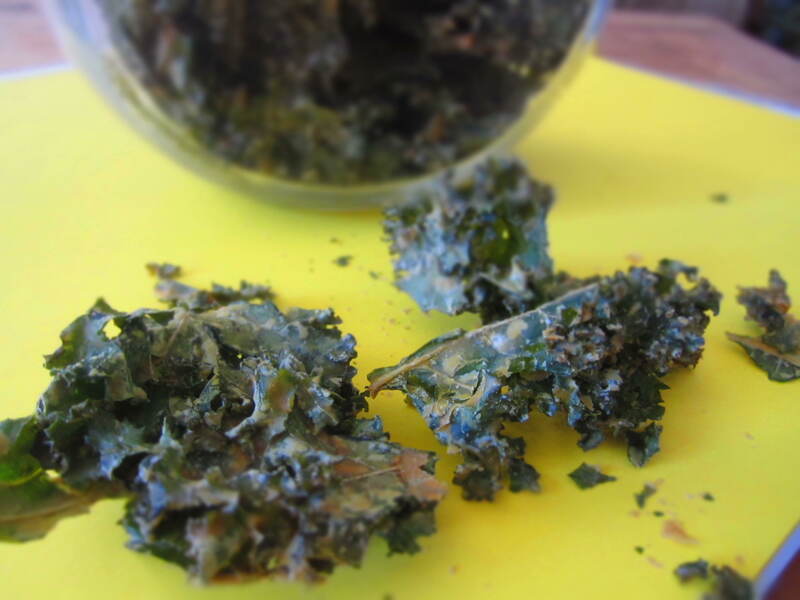 Once you do this you can chop or pull the leafy part of the kale into small bite sized pieces. In a large bowl mix tahini, tamari, garlic, lemon juice, 2 tsp of salt, and 1/2 cup of apple cider vinegar, and nutritional yeast. You’ll want to wisk this really good so it forms a thick paste. Taste test it, if you want a little more bite, add some more vinegar, or salt as needed. 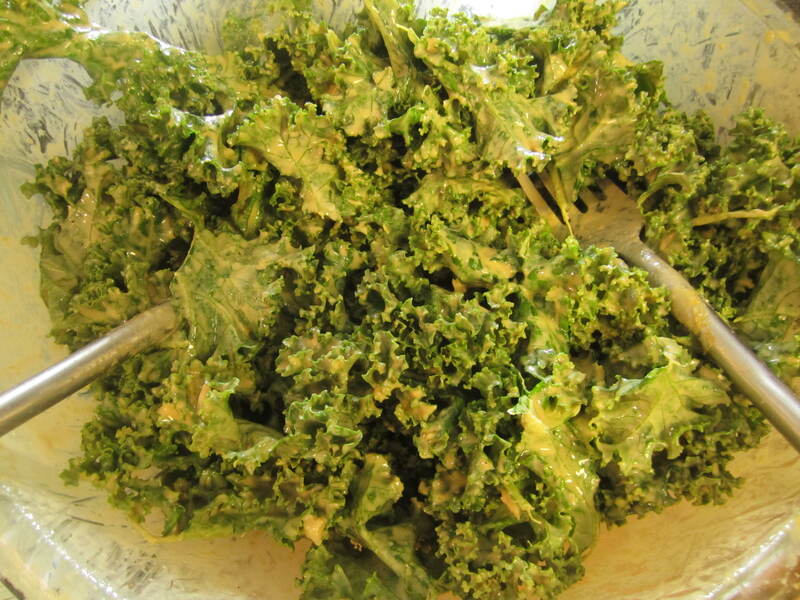 Once kale dressing mixture is combined add kale leaves to the bowl. MIX THOROUGHLY. You want every part of the kale to be covered in the dressing. Mix, then mix and mix some more! 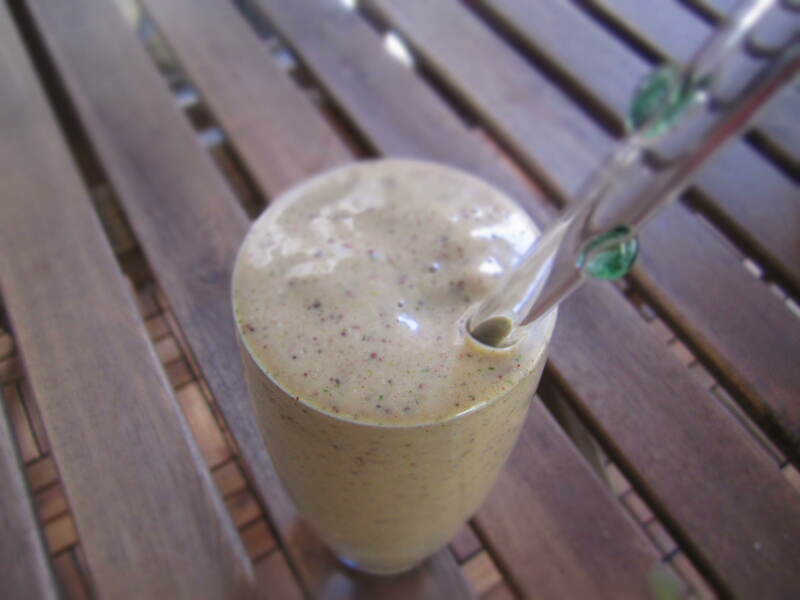 You can add some more nutritional yeast if you want more of a “cheesy” flavor. 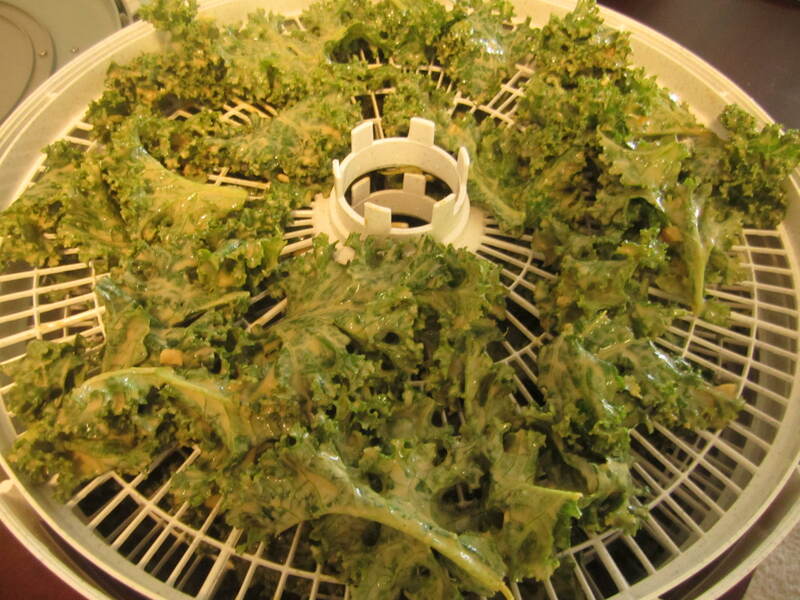 Once it is properly combined, add the kale to dehydrator trays(See step 5 if you don’t have a dehydrator) without overlapping the kale. I put mine in at 360 for about 7-8 hours. Around 7 hours taste test one piece of kale. You don’t want it to be soggy, once it is crisp and dry it is done! The leaves are very fragile so gently store them in an air tight container. 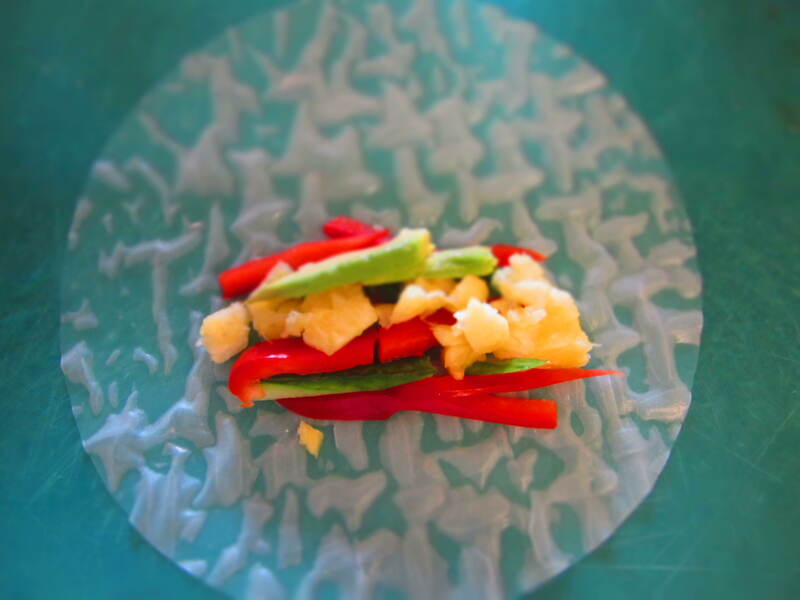 You can save the pieces that fall to the bottom of the tray to season a salad with! If you don’t have a dehydrator preheat the oven to 350F and cook them for about 10-15 minutes. Keep an eye on them, as they will burn quickly! Good luck keeping yourself away from these babies! I’ve been reading about homemade Lara bars all over the internet lately. I love Lara bars. 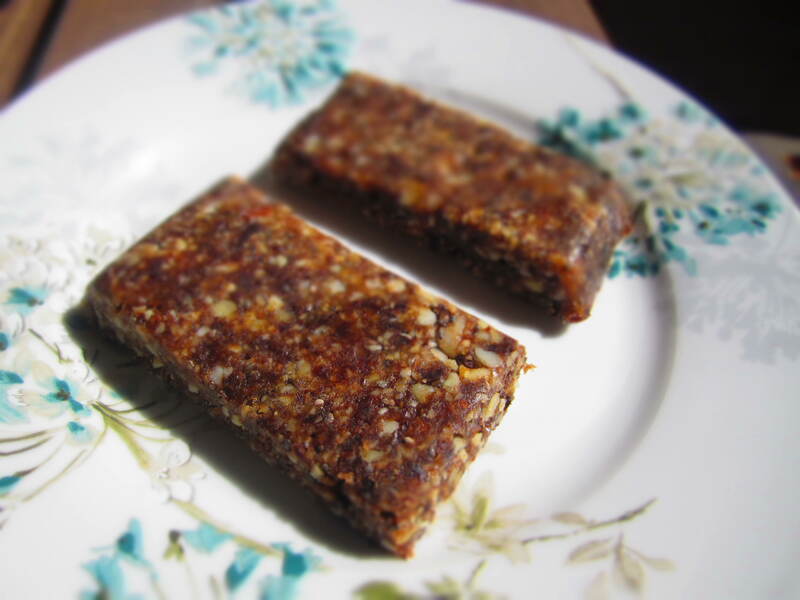 If you’re not familiar with them, they are just fruit and nut bars with only about five ingredients in each bar. 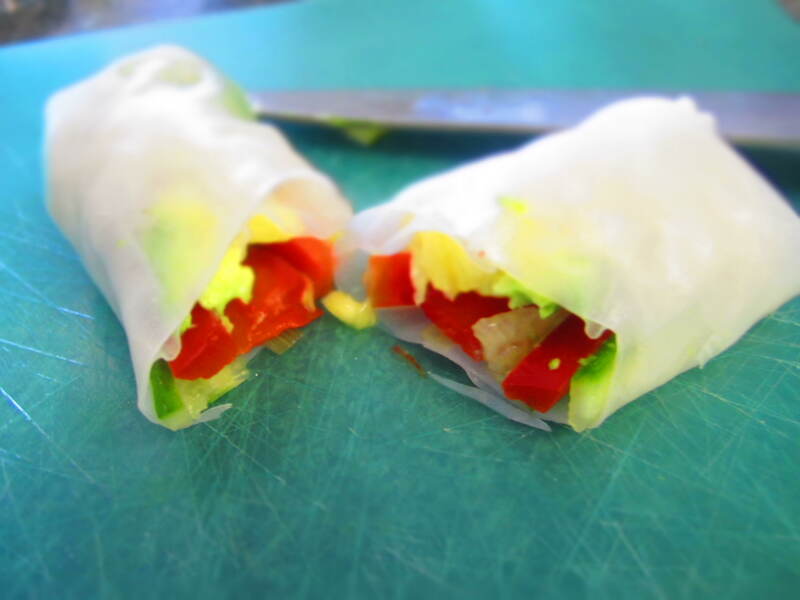 Super good and healthy, great on the go, or to replace a meal when you’re in a hurry but they are expensive. I remember my sister Lisa telling me how easy it would be to make them myself, but I never took the time to do it until recently. 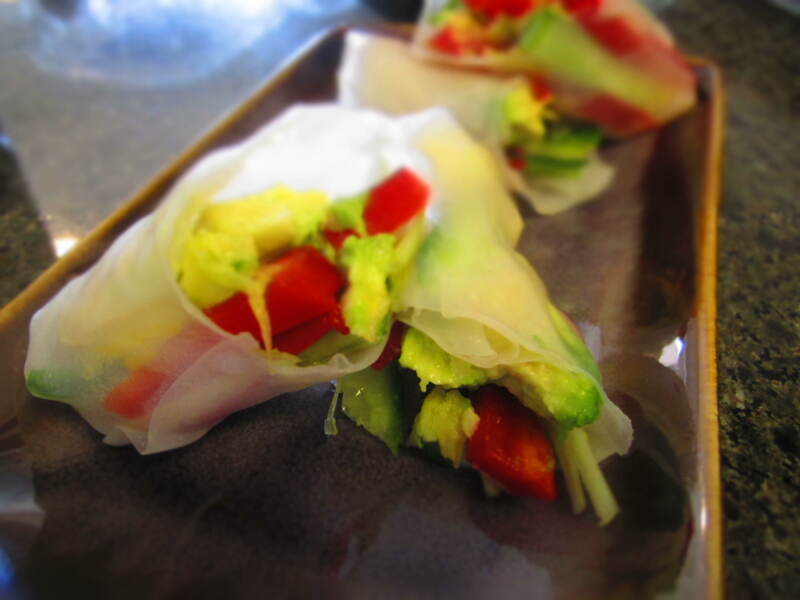 I looked to one of my favorite websites World’s Healthiest Foods as inspiration and came up with these. I was actually trying to make a flavor Angelo liked because the last two bars I had made had chocolate and he isn’t a chocolate fan(how that is possible, I don’t know). After making his, requested, apple pie flavor I sampled some(quality control!) and I fell in love! I apologize for the weird shaped bar in the photo, I used a different pan to mold them with, so they came out shaped a little different. Use a food processor to chop dates. The dates will form a sticky dough, once this forms put them into a big bowl. Throw the apple in the food processor once it is chopped(it will be mushy as well) add it to the bowl with the dates. 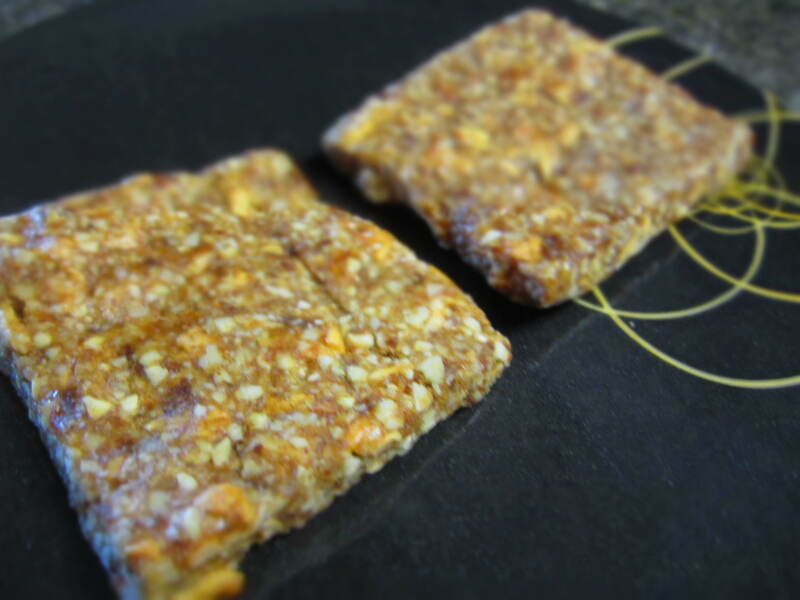 Put cashews, almonds, salt and cinnamon into the food processor and chop the nuts until they are tiny but not completely turned into dust, you’ll want some texture in the bars. Add the nuts to the bowl with the dates and apple and combine them. I just get my hands right in there and mix everything together, it is a little easier than trying to use a spoon. Once they are combined add the mixture to a pan-if you want super thick bars use a smaller pan, if you want thin ones use a bigger one(I usually use a 7X11 inch pan, but I already had something in that particular pan so I used a square one, which is why the shape is different), you can also cover the pan with foil so the mixture is easy to pop out. You’ll have to push on the mixture with a spatula to make sure it is even. Also work the mixture making sure you get it into all the corners. Leave in the fridge for 15-20 minutes. After the apple pie is chilled, remove from the fridge, flip upside down on a cutting boards and cut into pieces. This usually makes about 10-12 bars depending on what pan you use! You could also make them into balls if you prefer. I store mine by wrapping them individually in plastic wrap, so they are ready to grab and go. 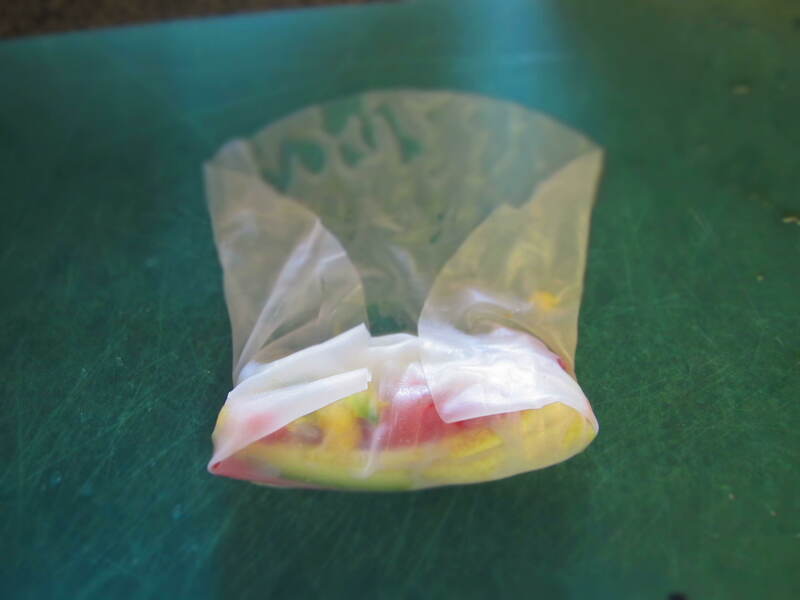 They’ll last for about 10 days in the refrigerator, or you can put them in the freezer(wrapped individually in plastic wrap then put into a zip lock or air tight container). This is the shape of the bars when I use a 7X11 inch pan. Chocolate Cherry Pie recipe to be shared soon!! !